What’s in a name? A brand? 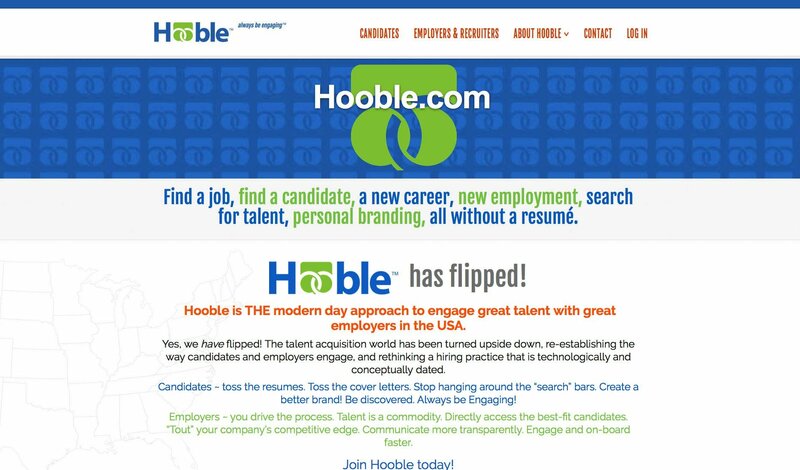 Hooble.com was created to put a 180° spin on how jobs are sought, and how they are promoted. A special symbol was created to match and mirror the uniqueness of the company and its vision. A gestalt approach to the colophon allowed for a fun interpretation. with the connecting rings appearing from an otherwise random shape. 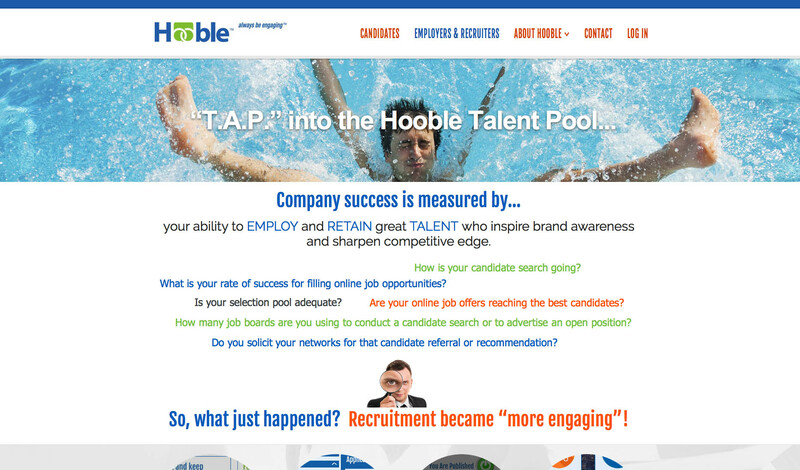 We also wrote positioning statements, the marketing plans, and all or most of the copy everywhere else. Our entire process is collaborative. We regularly met – and meet – with the creators to push forward the brand and its objectives. So that’s the “right brain”. We also worked ”left brain”, developing from scratch the deep-level back-end administration and membership user interfaces, screens, etc. 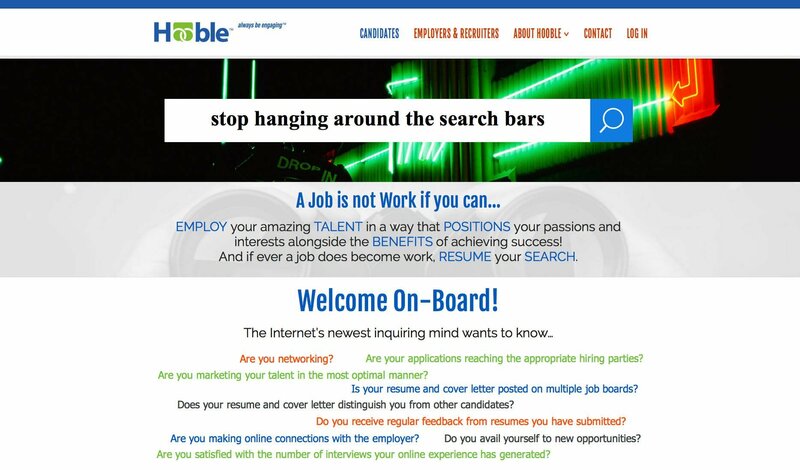 Working with our senior development team, we’ve been able to bring to life the client’s intellectual property – their unique interactive modalities – into a real, working website.